Few things are as frustrating as grabbing food from the fridge just to discover that your leftovers have gone bad. When it comes to cheese, you may have taken every last precaution to keep it as fresh as possible—sealed plastic containers, saran wrap, parchment paper—but to no avail. The next time you break off a piece of cheese, smooth a very thin layer of butter over the cut side. Then, store the remainder of your cheese as you normally would (we recommend wax or parchment paper if you don't have cheese paper on hand). Reader's Digest says that you should reapply butter each time you open the cheese and cut into it. This isn't anything new; cookbooks have recommended buttering cheese to preserve its consistency for a very long time. A New System of Domestic Cookery by Maria Eliza Ketelby Rundell came out in 1824 and specifically mentions the use of butter on cheese here. But with the modern-day convenience of the refrigerator, this simple tip has fallen by the wayside. Why Does Butter Work So Well? When applied, butter creates a protective layer that keeps air from oxidizing the cheese as it sits in your fridge. At the same time, it also discourages mold growth because butter is overwhelmingly composed of fat. 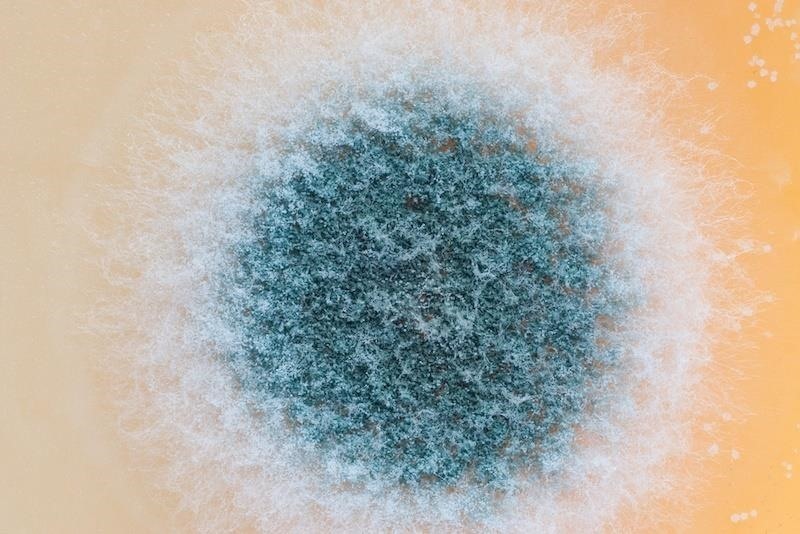 Mold doesn't grow very well with such a high percentage of fat; it requires a good amount of water as well as nutrients. 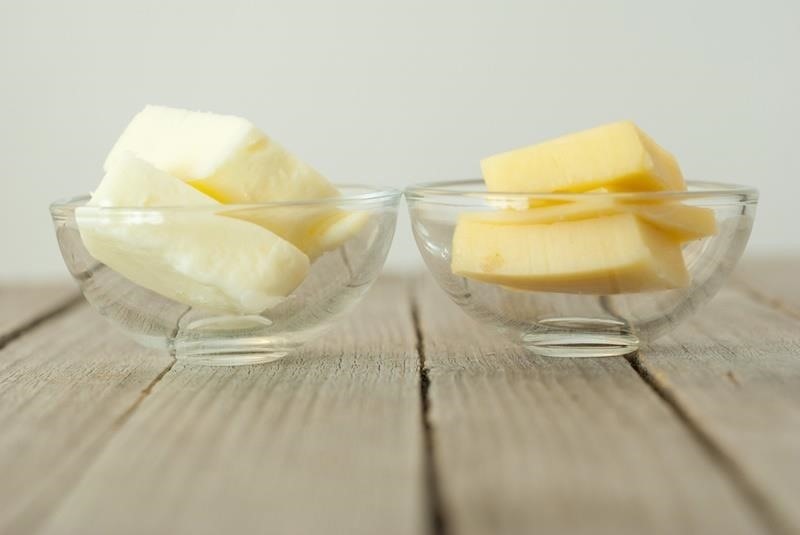 Therefore, butter acts as a barrier to both drier cut edges and spoiling! Margarine features the same moisture-locking benefits, as it also contains lubricating fat. However, margarine doesn't have a high enough percentage of fat to slow the onset of mold, so butter is your best bet for preserving cheese. If you prefer to stay away from using butter, you can still stave off mold and dry edges with the addition of other common items in your pantry. Lifehacker suggests adding a bit of vinegar to your cheese storage method. Soak a paper towel in the liquid, then add it to the sealed bag or container you keep your cheese it. 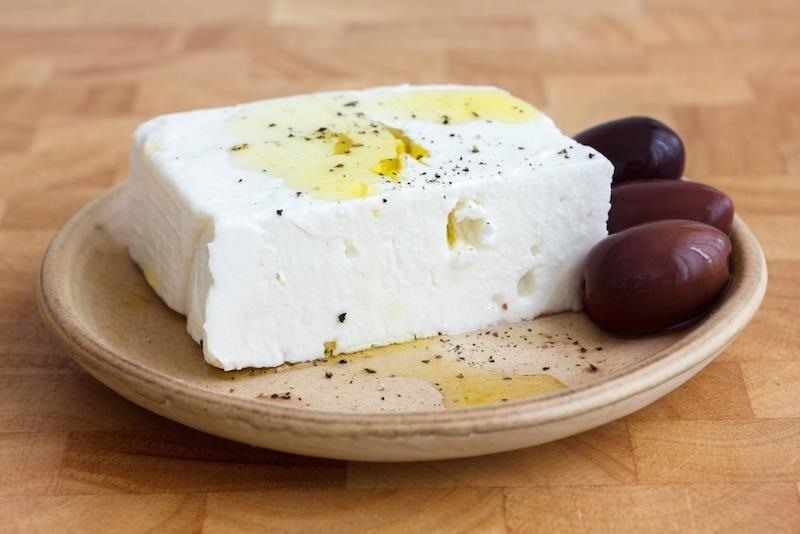 Olive oil can also be used as a protective coat for your favorite cheeses. When mold begins to grow, it will adhere only to the oil, keeping your cheese safe. But in the end, butter is by far the easiest and mess-free way to ensure your ability to enjoy that favorite wedge of cheese until every last slice is gone. How do you like to store your cheese? And do you have any tips for particular varieties? Share your thoughts below.